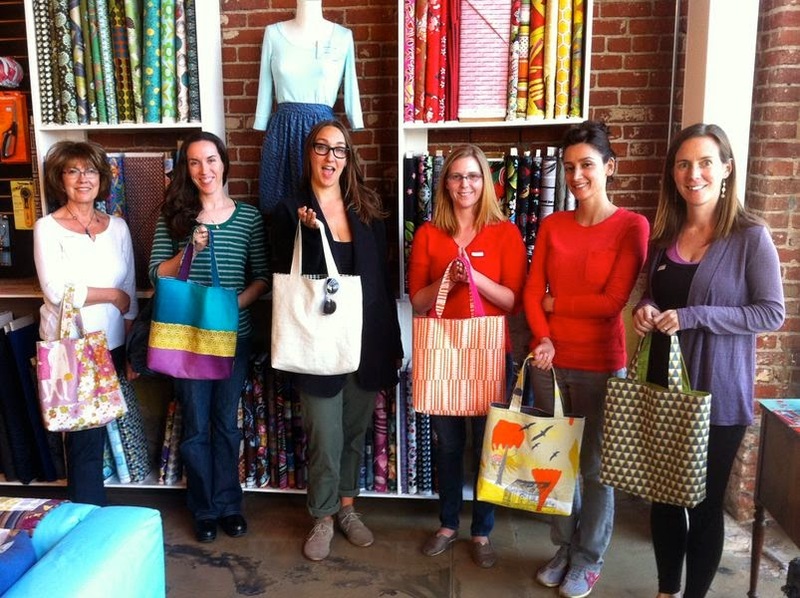 Hiring Sewing Instructors at Sew L.A.! It's official - we need another teacher! If you think you have the chops to join our stellar teaching team, send the info listed below to us at classes (at) sew-la (dot) com! Here's our ad from Craigslist to give you an idea of what we are looking for. Pay is $15 - 20 per hour depending on experience. Sew L.A. is looking for professional, experienced and engaging sewing instructors for our Los Angeles classroom. We are a fabric shop with a large classroom for both group classes and private lessons located in the Atwater Village area of Los Angeles. Take a look at our website to get a feel for what we do! We have a fantastic team of garment construction, patternmaking and quilting teachers - are you the right person to join us? This is a part time, subcontractor position with flexible hours. Our classes take place on weekends during the day (11am - 6pm) and from 6:30 - 9:30pm during the week. Private lessons may be scheduled at your discretion. Addendum: the lovely and amazing Heather will be joining our team starting in March 2015. But we are ALWAYS looking for crafty teachers and workshops so do not despair - if you think you'd like to work with us drop us a line at classes (at) sew-la (dot) com!